What does it mean for the captain's future? A trade in the works?! The New York Islanders fans are still waiting to see if captain John Tavares will still be with the team next season. 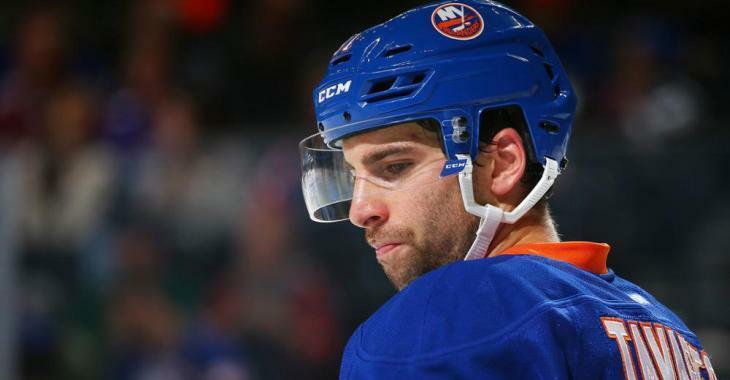 Tavares could become an unrestricted free agent this summer for the first time in his career, and as of now, there is no new devolpement in contract negotiations as the Isles are mainly focused on the new arena construction. According to NHL insider Darren Dreger, who took on Montreal’s TSN 690 on Thursday morning, the Islanders management might be looking to court other free agents. “What’s interesting though is how the New York Islanders continue to recruit not only Tavares, but maybe potential unrestricted free agents. They put out the video the other day of their fancy renovations to their training facility. They spent several million dollars in bringing this facility up to NHL standard. And it’s nice, but even co-owner Jon Ledecky acknowledged that they’re doing it to try and persuade players to pay closer attention to the New York Islanders." That also includes Tavares, but for now, even the star forward does not seem to have made up his mind. “And look, this is how this is going to play out until John Tavares wakes up one day and says, ‘Alright, well I feel like I should either A) sign that extension or B) not sign it and sit back and test the unrestricted free agent market.’ And frankly, nobody knows that at this point, including John Tavares."